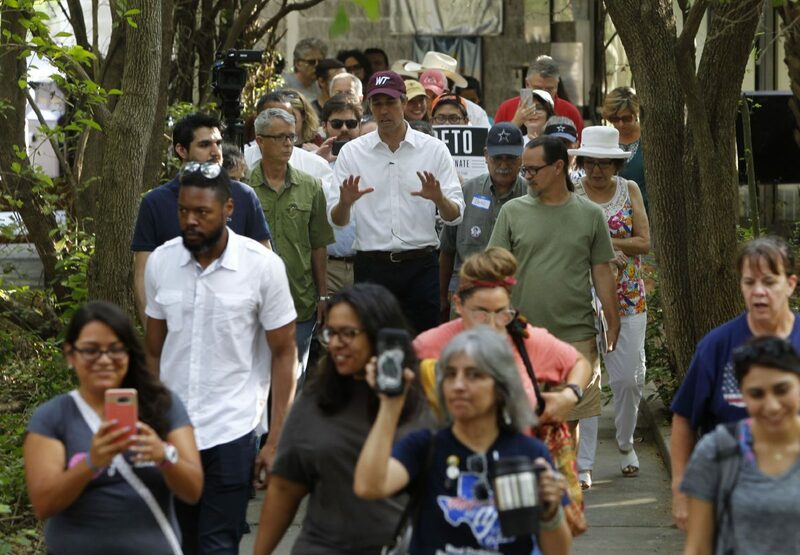 U.S. Rep. Beto O'Rourke, behind center, D-El Paso, enters the Santa Ana National Wildlife Refuge with people who are against a proposed border wall that would cut off a majority of the refuge Monday July 31, 2017 in Alamo. 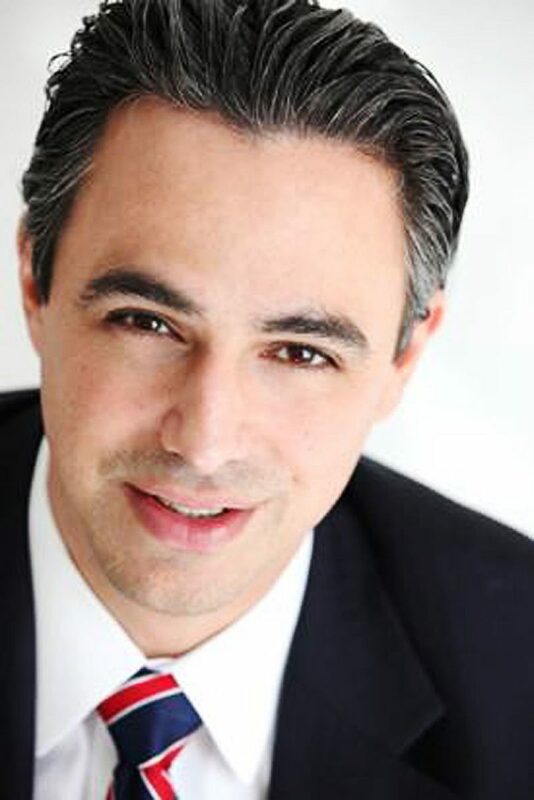 COMMENTARY: Will Trump attack Mother Nature in the RGV? Donald Trump continues to recklessly push one of the most anti-American promises of any United States president by wasting tens of billions of tax dollars nationwide on an ill-advised border wall. Some are reporting that he has targeted the Rio Grande Valley — specifically the federally-owned Santa Ana National Wildlife Refuge — as the most recent launching pad for his dangerous notions of America, which are based on ignorance, fear, and bigotry. Situated along the Rio Grande, just seven miles south of Alamo, is our beloved Santa Ana National Wildlife Refuge. This area is one of the top birding locations in the world and home to the endangered ocelot and jaguarundi. The refuge serves as a habitat for coyotes, bobcats, armadillos, and over 400 bird species. 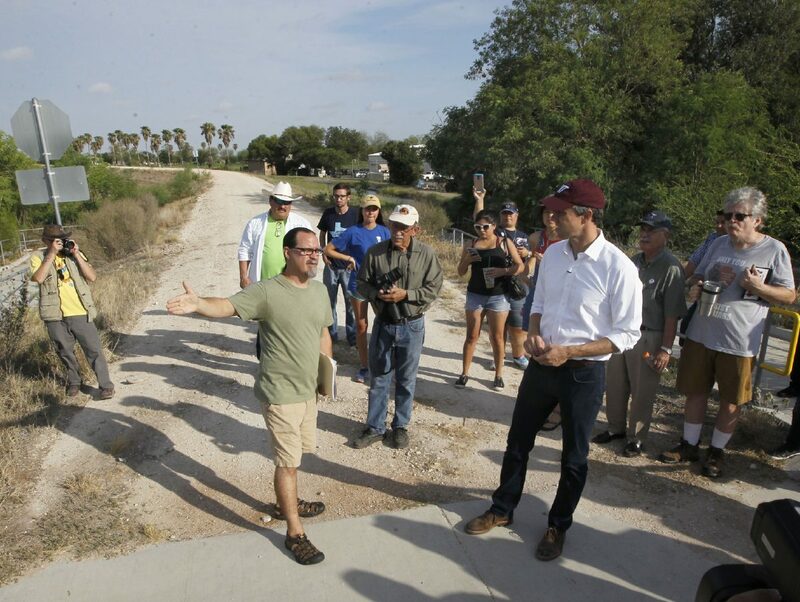 At right, for U.S. Rep. Beto O'Rourke, listens to local Sierra Club's Scott Nicol, left, while standing where a proposed border wall was to travel through Santa Ana National Wildlife Refuge on Monday, July 31, 2017 in Alamo. 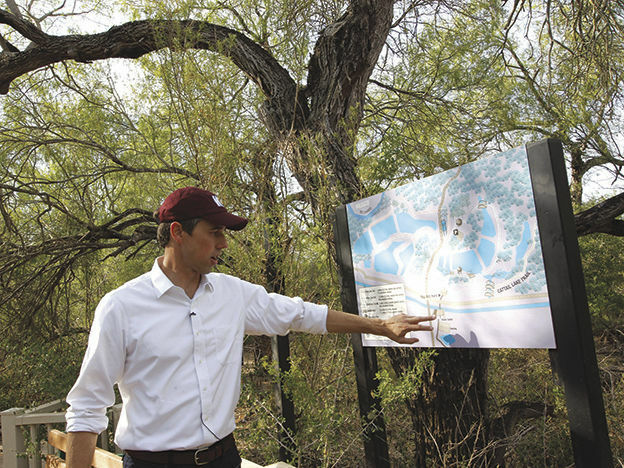 U.S. Rep. Beto O'Rourke looks at a map of where a border wall could go while touring the Santa Ana National Wildlife Refuge in Alamo on Monday July 31, 2017. This refuge is more than a beautiful park. It also represents jobs and money for our local economy. In 2011, a Texas A&M University study estimated nature tourism’s value to the region at more than $344 million, accounting for more than 4,400 full- and part-time jobs per year. Aside from that, the preservation of the refuge is imperative since South Texas has lost most of its undeveloped habitat due to agriculture, urban development, and huge economic growth as one of the fastest-growing regions of our country. So far, the U.S. Congress has not finalized the current federal budget for the construction of President Trump’s border wall at the Santa Ana National Wildlife Refuge. Despite this, the U.S. Army Corp of Engineers is starting an early analysis in the area, and there is much expectation that Congress will approve funding for the wall in the 2018 budget. Environmentalists and scientists are extremely concerned that President Trump’s border wall could have a devastating effect on the Santa Ana refuge. His plan could include bulldozing large areas of the refuge and creating an impenetrable barrier that would prevent all animal life from crossing. Furthermore, the barrier could serve as a man-made dam stopping the natural flow of water into the river, which would cause large-scale flooding and the widespread death of many animals in the refuge. $15 billion to $25 billion. If the president is really serious about putting a stop to illegal crossings, there are other methods, far cheaper and more efficient to do so. U.S. Customs and Border Protection has used a variety of techniques along the Mexico border to prevent illegal entry such as deploying radar, infrared cameras, and ground sensors which coordinate with helicopters, planes, drones, and tethered aerostats that can detect smuggling operations while flying high above these sacred parts of South Texas. It is extremely important, now more than ever, that all Texans call and/or write to their U.S. senators and congressman to let them know of their strong opposition to a border wall in the Santa Ana National Wildlife Refuge. The fact of the matter is that there are much better ways to secure our state and national borders and to protect our citizens. This ill-conceived construction of a border wall is not only a waste of our nation’s money, but will also serve as a colossal monument to the ignorance and complete lack of regard for one of our nation’s most beautiful national treasures.